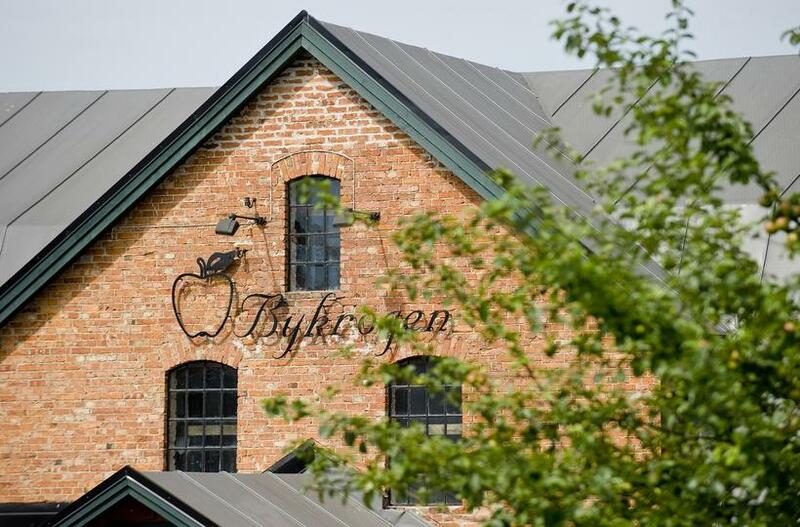 Bykrogen pub is located in the old starch factory near Lake Råbelöv in the small village of Österlöv, just 9 km north of Kristianstad. The factory has been converted into a cosy village pub which serves delicious food. There are 26 hotel rooms in the hotel portion of the building. This country pub has a relaxed atmosphere where all types of people can feel comfortable. A great buffet with herring and grilled dishes, dessert and coffee/tea is always served on the weekends. Bykrogen also offer a 10 course tasting menu that they call Bykrogens Skånska Tapas Menu. To the greatest extent possible, the items on the menu are always based on the season and local produce. Cooking with a chef in one of our special kitchens is a very popular and fun activity to do together. Bykrogen is also a wonderful place to hold conferences. There are 6 rooms for 2-80 participants.